The playoff streak has been snapped by Highland Park – and that’s a good thing. 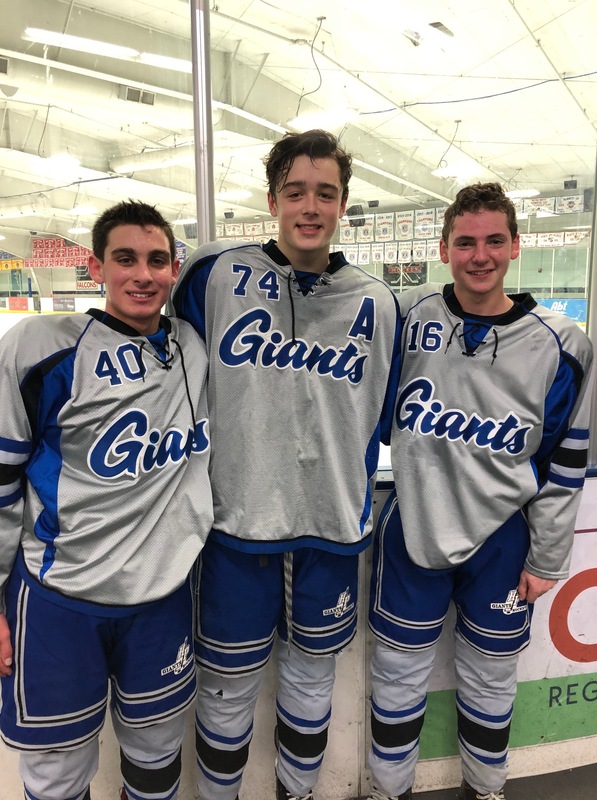 The Giants ended a nine-game playoff losing streak, dating back three years, with a 6-4 win over Fox Valley Black Jan. 27 in Geneva, anchored on a five-goal second period, including 4-point nights from Jack Elbaum and Sam Shachtman, and 3 points from William Rosenberg. They followed that with another playoff win, 3-0 at home over the Lakers on Feb. 2. But then the Giants were slowed by co-op LZMW, losing 3-2 on Feb. 4, despite outshooting their opponent 52-27. Particularly after a “really rough” start to the season, Booth added. “With a very young and inexperienced team, the jump (to varsity play) for most of the players was a huge learning curve. But as the season has gone on, every player has stepped up and been a big part of our late season success despite numerous injuries. 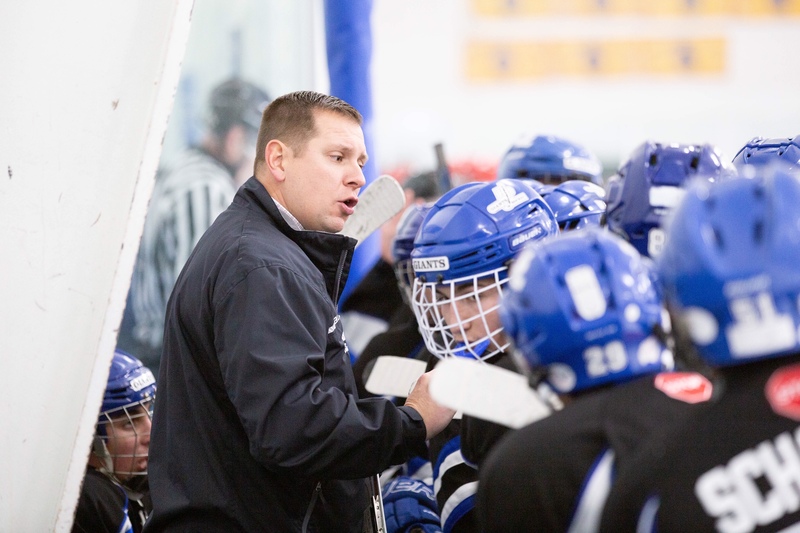 Booth, 38, who lives in Lindenhurst and is the president of Precision Hockey LLC, is in his 18th year coaching, his third in the high school ranks and his first at Highland Park. He replaced longtime HP coach Sean Freeman, who spent close to 20 seasons on the Giants’ bench and turned the team into a North-Central power. Booth, who previously coached Loyola Maroon, is assisted at HP by Ari Aberman. Booth and Aberman have coached together for three seasons. “He brings a great knowledge of the game and a passion to develop defenseman,” Booth said. Booth’s coaching resume also has included the Skokie Flyers, Northbrook Bluehawks, Lake County Atoms, TI and CYA, among others. 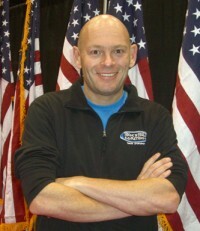 He has coached both boys’ and girls’ teams, and has coached collegiately and in the junior ranks. Booth played locally for the Falcons from mite to bantam, with three state runner-up teams, then for CYA as a midget, including state runner-up as a midget major, then for the Toledo Cherokee Juniors. And this year’s Giants certainly have character, too. 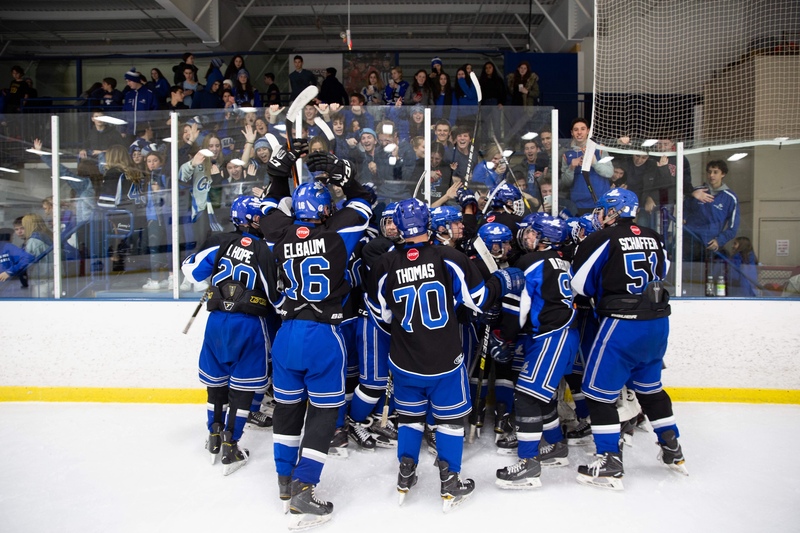 That said, the Giants did win the most important game of their regular-season, defeating arch-rival Deerfield 5-2 on the night before Thanksgiving in front of a standing-room-only crowd in Vernon Hills. Another memorable win this season came against Evanston. The Giants feature eight seniors this season, who were honored before the team’s game Jan. 26. The class includes Isaac Hope, Marcus Abt, Jacob Schaffer, Drew Felman, Jordan Meek, Zach Gordon, George Giese and Sebastian Thomas. Giese, an alternate captain, is the only four-year varsity letterman in the Class of 2019, and he will represent Highland Park in the annual All-State Game, as selected by the AHAI High School Committee. The game is Monday, February 11, at The Edge Ice Arena in Bensenville, starting at 8:35 p.m.
Giese (28 goals, 18 assists) was named his team’s MVP in the IHSHL North Central All-Star Game. This is the 30th anniversary of the All-State Game and it features the top 42 high school players (24 forwards, 12 defensemen and 6 goalies) in Illinois. Key juniors this season include forwards Jack Elbaum and Sam Shachtman, among others. “Over the past 15 games we have been competing much better, (but) have had trouble finishing in the third period,” Booth said. “The team has made great strides this season. At the start of the year we were losing by 4 (or) 5 goals; now we are in every game. Two keys this season have certainly been sophomores Will Rosenberg (forward) and Jack Fishman (defense). “They have really come into their and been impact players on their lines and on special team situations,” Booth said. So how far can the Giants go in state? “With a healthy lineup, I think we could surprise some teams,” Booth said. And the program’s success should continue next season. ‹ The State Tournaments Have Begun – Let’s Keep it FUN!